Read article – Cites data from the Dartmouth Atlas Project that shows that patients experienced more aggressive end-of-life care without evidence to suggest any medical benefit. Read article – A column by Ashley Hamel ’19 and Emily Georges ’19, in which they express their support for Senate Bill 1, legislation that would establish paid family and medical leave in New Hampshire. “How can we put a price on the health of New Hampshire’s children? How can we stay silent while our state’s current infrastructure makes it very difficult for low-income families to care for their children? Passing and signing SB 1 would send an important message: that New Hampshire cares about family values, gender equality, and the health of our state’s children,” said Hamel and Georges. 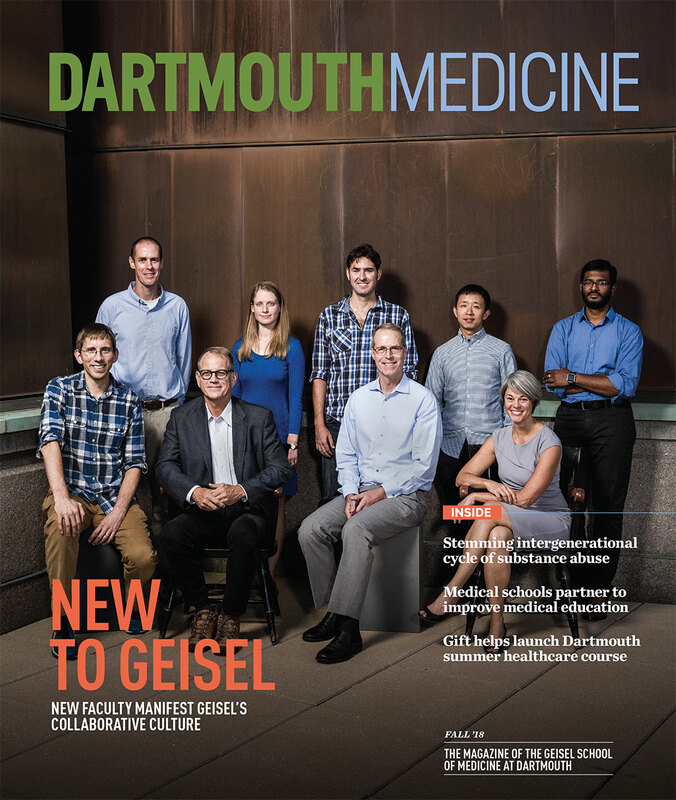 Read article – An opinion piece co-written by Alison Volpe Holmes, associate professor of pediatrics, medical education, and of The Dartmouth Institute for Health Policy and Clinical Practice, about the growing pains of Match Day, when fourth-year medical students across the country learn their hospital assignments for the next three to seven years. Read article – An article about how some teenagers of anti-vaccine parents are taking matters into their own hands, mentions that researchers at Dartmouth have a theory that anti-vax sentiments persist because of hysteresis, a phenomenon that describes how the impacts of a force can remain after the initial force has been altered or removed. Read article – An article about how the U.S. Food and Drug Administration (FDA) announced it would go ahead with efforts to restrict sales of some types of flavored vaping products to minors, quotes a recent study by Dartmouth researchers that seemed to back up the FDA’s concerns. “We found that adolescent and young adult vapers were not only more likely than older adult vapers to use fruit- and candy-flavored e-cigarettes, but were more likely to concurrently use multiple flavor types,” says lead researcher Samir Soneji, associate professor of The Dartmouth Institute for Health Policy and Clinical Practice. (Picked up by WebMD. Similar coverage in The Verge and U.S. News & World Report). Read article – Quotes Samir Soneji, associate professor of The Dartmouth Institute for Health Policy and Clinical Practice, in an article about how the U.S. Food and Drug Administration recently announced it would go ahead with efforts to restrict sales of some types of flavored vaping products to minors. Research coauthored by Soneji seems to back up the FDA’s concerns. “We found that adolescent and young adult vapers were not only more likely than older adult vapers to use fruit- and candy-flavored e-cigarettes, but were more likely to concurrently use multiple flavor types,” says Soneji. Read article – An opinion piece by Laura Ronan, associate professor of neurology and of medicine, in which she discusses how House Democrats’ “Medicare for All” proposal doesn’t incentivize doctors to listen to their patients.